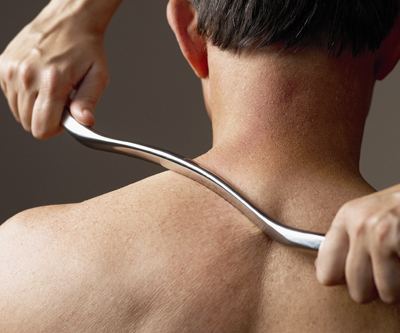 The Graston Technique is an innovative, patented form of instrument-assisted soft tissue mobilization that enables clinicians to effectively break down scar tissue and fascial restrictions. Originally developed by athletes, this technique is changing the way clinicians, including athletic trainers, chiropractors, physical therapists and occupational therapists, approach treatment of acute and chronic soft tissue injuries. Specially designed stainless steel instruments, pictured below, are utilized to specifically detect and effectively treat areas exhibiting soft tissue fibrosis or chronic inflammation. Why did you start using Graston Technique? As a clinician, I found that I was unable to resolve some of the soft tissue issues that presented in my clinic. I was able to work on the mechanical issues associated with an injury, but if there were chronic muscle, ligament or tendon problems, the pain would temporarily disappear only to quickly return. Given this problem, I took the initiative to investigate therapies and treatments that would address these myofascial complaints. I began treating as a Graston Provider early in 2009, and I found that I was getting great results. I then went on to take the advanced Graston course and am now one of only a few Certified Graston Technique Providers in the Central Texas region. What can the Graston Technique treat? Although many patients see significant improvement with only a couple of treatments, treatment with the Graston Technique is not a one-time event. Many conditions may take 8 to 10 treatments to reach maximum improvement, as it takes time for the body to heal itself after the scar tissue (fibrous adhesions) is broken up. Side effects from the Graston Technique are usually mild and include localized swelling, soreness with touch, and mild or moderate bruising. These side effects generally resolve in a couple of days and can be treated at home with ice. What do the tools used in Graston Technique look like? 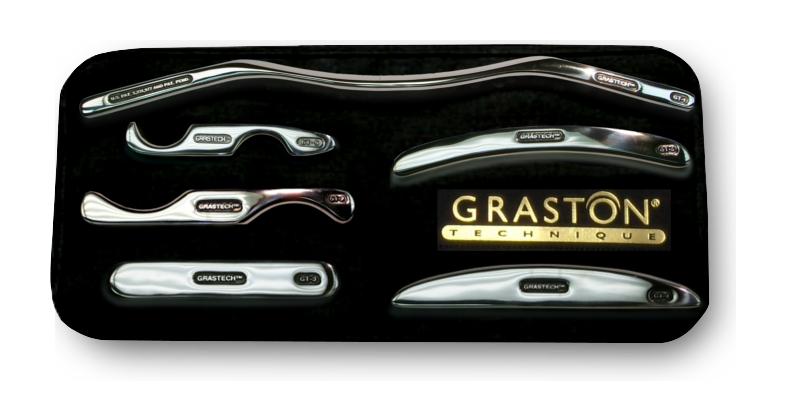 Additional information can be found at the Graston Technique website .